We are the heavy equipment experts. Specialty Equipment Insurance Services (Specialty Equipment) offers a variety of insurance and equipment protection products to provide a competitive advantage for agricultural, construction and material handling equipment dealers, OEMs, and financial institutions in the US and Canada. 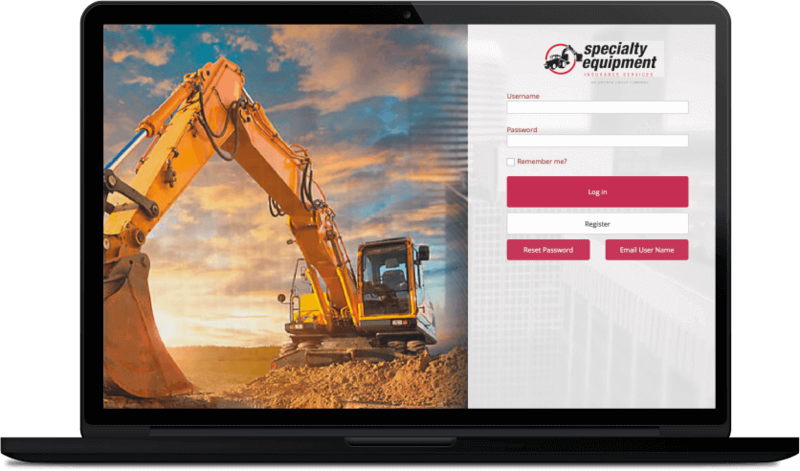 Specialty Equipment is a leading equipment protection and insurance service provider in the heavy equipment industry, offering a complete enterprise solution for businesses in this sector. Our customized solutions help minimize risk and provide peace of mind for you and your customers. Enterprise Solutions that serve the needs of Agricultural, Construction and Material Handling Equipment Manufacturers to build brand loyalty, enhance dealer experience and increase market share. A complete suite of insurance and protection products to provide a competitive advantage for equipment dealers offering services to the agricultural, construction and material handling equipment markets. “Specialty Equipment Insurance Services has been a great company to work with, they are quick to respond to questions and requests. They have worked with us to develop programs for what our customers need, helping us support them better. The claims process is easy to understand and they respond in a timely manner. Members enjoy the convenience of our secure client portal. Contact us today to learn more about our coverage options.